Packed with adventure, this 10-day paddling and hiking trip is the perfect outdoor sampler, loaded with activities both in the mountains and on the water. 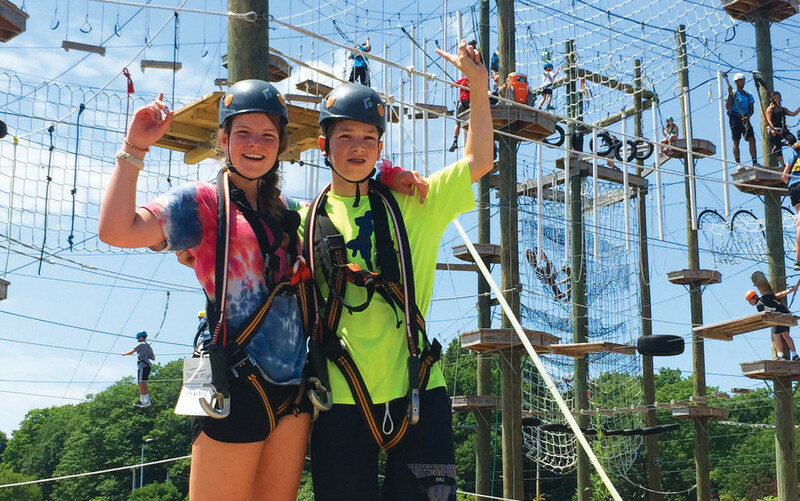 Challenge your skills on a ropes course, hike to fantastic views in New Hampshire’s White Mountains, raft the Androscoggin River, and paddle sea kayaks along the Maine coast. Whether you are new to the outdoors or have camped your whole life, NEMC is a great way to explore New England and try something new! Our first full day together will be spent with certified instructors on a high-low challenge ropes course where we’ll combine ice breaker activities with team-building skills. Once we’ve gotten to know each other, we’ll make our way to northern New Hampshire to raft the Androscoggin River. 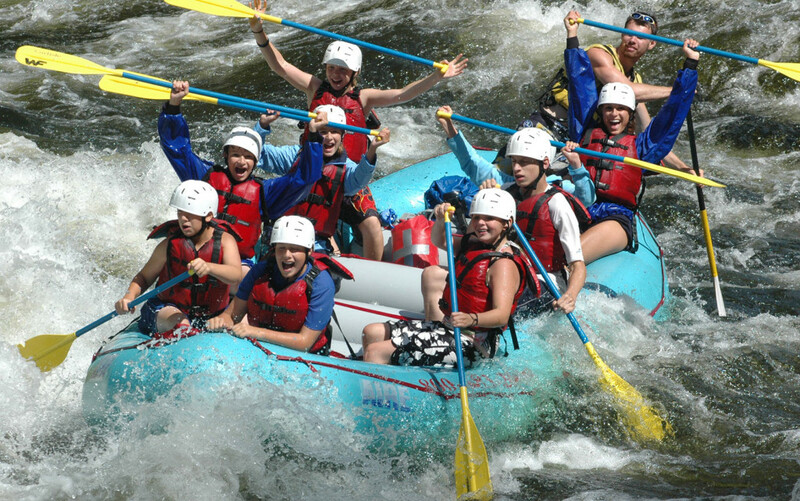 With our professional guides, we’ll enjoy the thrills of class II and III rapids on this great New England river. From here, we’ll swap life jackets for day packs as we make our way to New Hampshire’s White Mountains. We’ll spend the next several days taking full advantage of all that the Presidential Range of the White Mountains has to offer, gaining confidence with every hike. As we hike above tree line, we’ll eat lunch in beautiful alpine meadows with stunning panoramic views. We’ll discover hidden waterfalls, swim in cool mountain streams, keep an eye out for moose and other wildlife, and maybe even make a summit attempt of Mt. Washington, New England’s highest peak! For our last stop, we’ll learn the fundamentals of safe paddling before exploring Maine’s rocky coastline by kayak. We’ll travel around the islands, picnic at water’s edge, and enjoy a refreshing dip in Casco Bay. After a morning of rewarding community service with a local food bank or land trust, the grand finale of our trip will be a festive farewell dinner in historic Portland, Maine. A perfect ending to the perfect New England youth camping adventure! How physically challenging is NEMC? Given a rating of Challenge Level 3 (out of a maximum of 10), we consider NEMC to be a beginner hiking trip that any moderately fit, motivated student can successfully complete with some prior preparation. 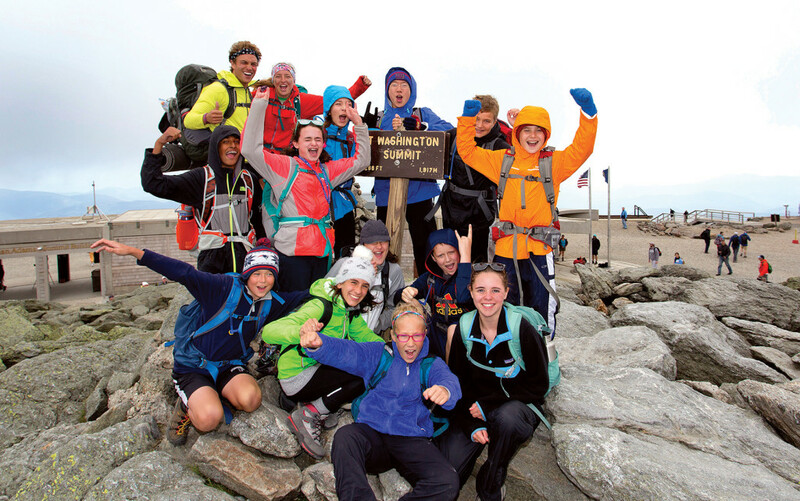 Compared to similar hiking trips, we believe that NEMC is similar in challenge level to both Colorado’s Rocky Mountains and Golden State Adventure, but easier than California Mountains & Coast or Maine’s Downeast Explorer. Please note that all of Apogee’s Challenge Levels are not scientific and are subjectively calculated by the Apogee staff. Our NEMC groups will be camping every night in established, front country campsites over the course of our trip. Leaders will separate students by gender into tent groups and will rotate those groups several times over the course of our trip. Students will share a tent with one or two other students. Is there any “backcountry” hiking on this trip? In a word, no. All of the hiking on our NEMC trip is on established and frequently-used trails. Some of the hiking does include trails that are more than one hour from definitive care (this is the usual definition of “backcountry” hiking). That said, our NEMC groups camp in established campgrounds every night and students can expect regular access to running water and showers. The specifics of our community service projects and the number of hours we volunteer varies slightly from year-to-year. 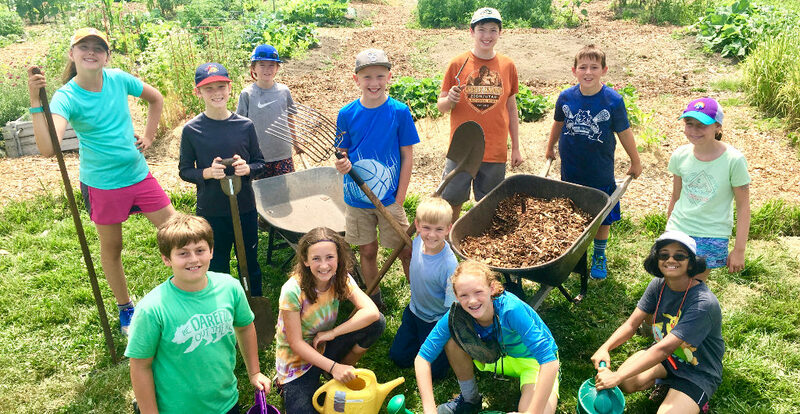 In the past, we have worked with the Brunswick Topsham Land Trust or the Mid Coast Hunger Prevention Program on a variety of tasks including trail maintenance and garden work or food organization, etc. Students can expect 3-5 hours of community service work, usually over the course of one day. You can expect to receive a phone call from your child once during their trip, usually around the halfway point. Apogee’s tuition costs are meant to be all inclusive and include all meal, accommodation, and activity fees. The most significant additional expenses on our New England Mountains & Coast trip will include flights (if necessary) to Boston, MA and from Portland, ME, a sleeping bag and sleeping pad, and hiking boots.